When I am working with clients as a social executive function coach, I often use Ms. Ward’s Note to Self strategy. 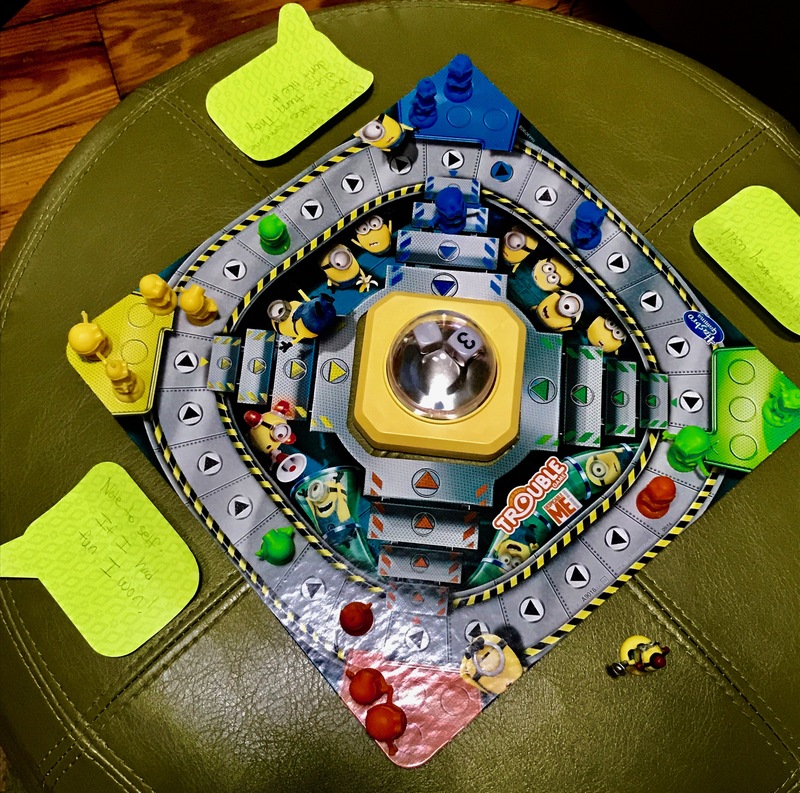 When we play a game of Trouble our goal is to have fun. To achieve a good outcome, we have to reflect on the last few times that we played the game together. If someone moved minions that belonged to another player, what was the impact of that behavior? Did it stop the fun? Did a player take someone else’s turn over and over? Bringing up those memories helps us create our Notes to Self. 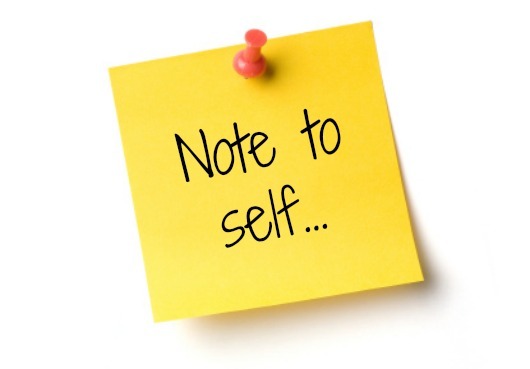 The ultimate goal is to store the notes to self like sticky notes on our brain. Until we can do that we will use a sticky note at our place at the table. If a problem pops up, I will state the problem and point to the sticky note. In a future game, I may just have to ask them to call up their Notes to Self. Using the Note to Self strategy is a great way to stay calm and help young clients learn self-control. Children learn to reflect on their behavior and how it affected the thoughts and feelings of others. It relieves the facilitator of always telling the child what to do and what not to do. 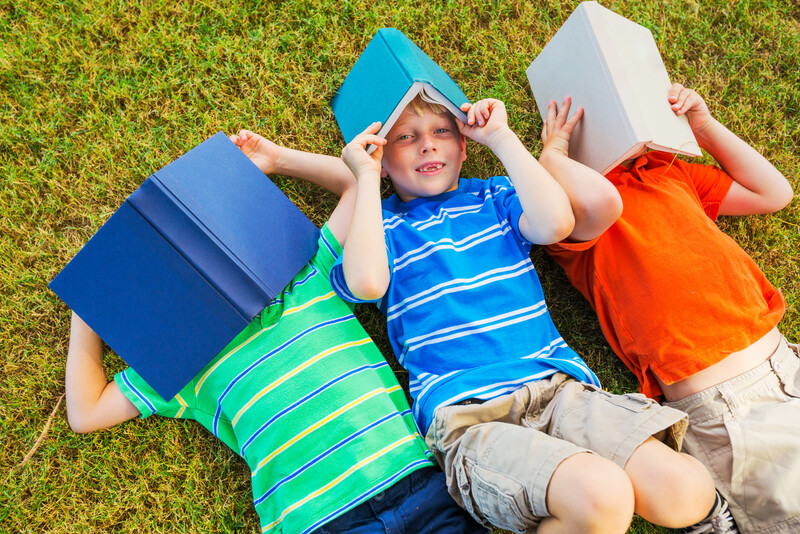 The goal of all reading instruction is to help students become expert readers so that they can achieve independence and can use literacy for lifelong learning and enjoyment. Learning to use strategies effectively is essential to constructing meaning. Readers who are not strategic often encounter difficulties in their reading (Paris, Wasik, & Turner, 1991). These early difficulties in reading may influence the way readers learn throughout the rest of their lives (Anderson, Hiebert, Scott, & Wildinson, 1985). One of my clients loves color and coloring. She wants to decorate every paper she encounters with color in a variety of forms. I have discovered that this Find the Evidence strategy keeps her focused as well as teaching her how to go back to the text to find the answer to comprehension questions. For all of my clients, visual supports help to make the invisible visible. Social knowledge is vital to reading comprehension. Perspective taking activities help my clients make connections to their own experiences, read between the lines, and make inferences. There is a connection between reading comprehension and social thinking. Children who struggle with reading comprehension usually have difficulty using social judgment on the playground and when working in cooperative groups. Children who have social learning challenges usually struggle to make inferences and draw conclusions as they read. Both social thinking and reading comprehension require a high level of perspective taking. When we are around other people, we need to think about their thoughts, motives, and intentions. When we read, we have to get into the characters heads and imagine what they are thinking and what they might do next. In social settings, children must read the facial expressions and body language of others in order to make a smart guess about which groups to attempt to enter and which ones to avoid. 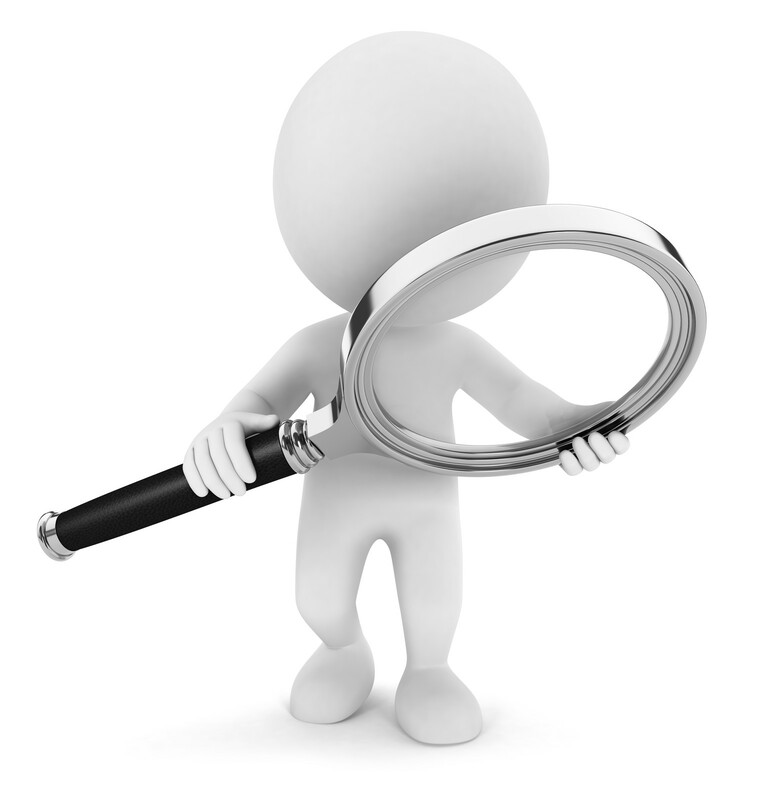 They need to be able to anticipate how problems can occur in order to take steps to solve them. They must be able to compromise, negotiate, and be flexible thinkers in order to make and keep friends. 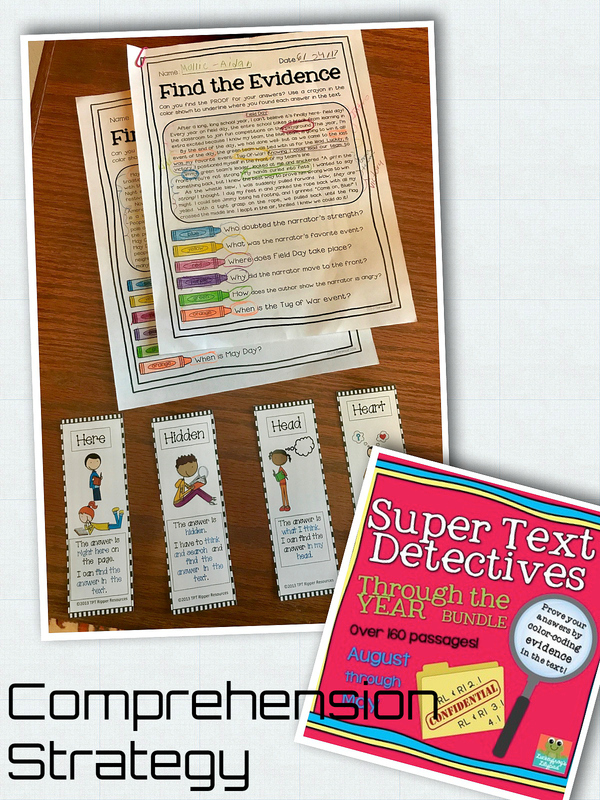 To comprehend what they read, children must imagine what their characters are thinking. They must use the words to create a picture or use the picture provided to imagine what the characters are thinking. 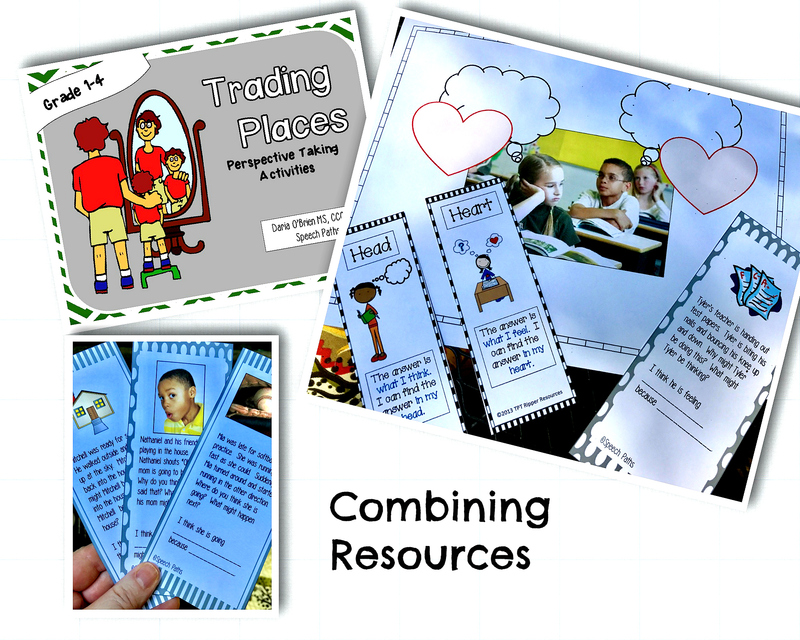 I use a variety of strategies with my clients who struggle with reading. I have found great success when I help them make the invisible visible. I Get It! 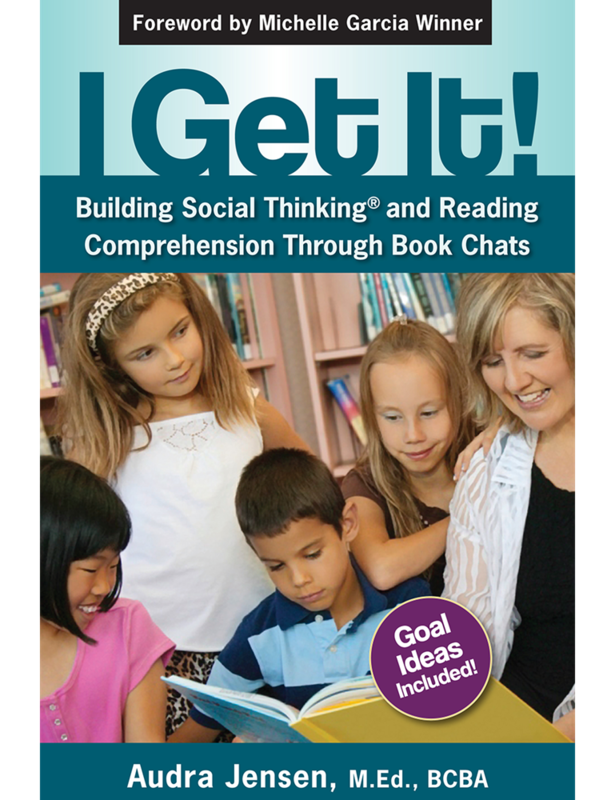 by Audra Jensen gave me a kick-start on how to apply the Social Thinking® vocabulary and concepts to reading comprehension. 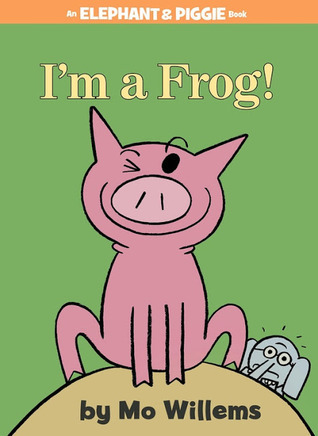 I’m a Frog! 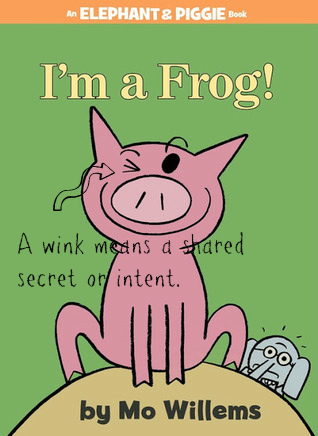 by Mo Willems is an example of a book that I would use when working on the concept of a shared imagination. 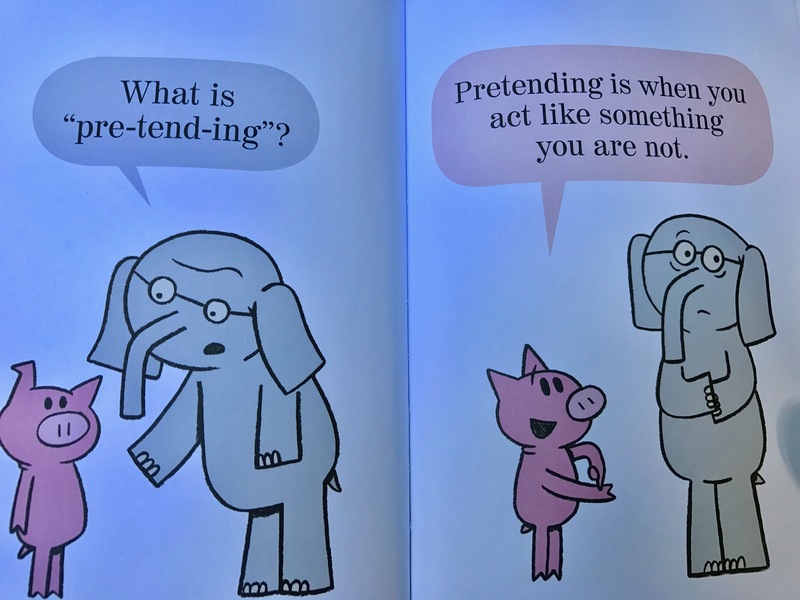 In this book, Piggie understands what it means to pretend and wants to help Gerald share in his pretending. Gerald just doesn’t get it! 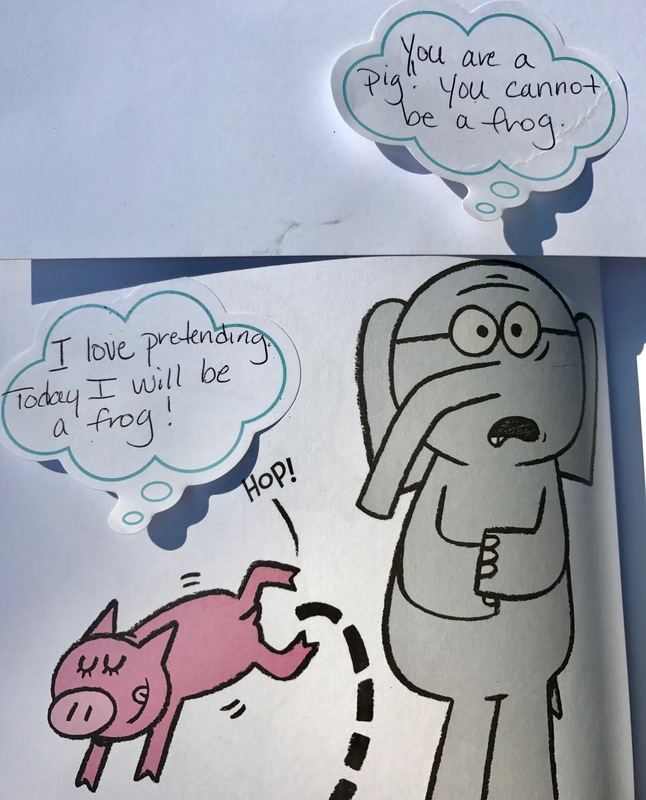 I hide the text and ask my clients to make smart guesses about what the characters are thinking. I ask them to think with their eyes by pointing out facial expressions and body language. Then we look at the text to see if our guesses were correct or close. 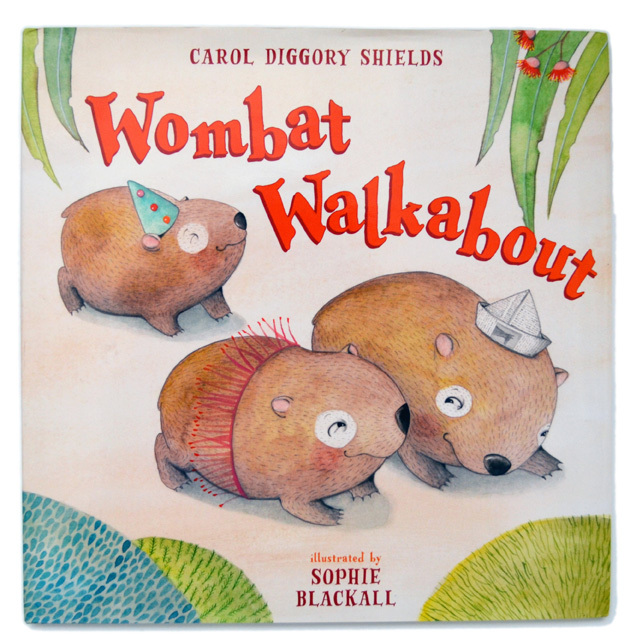 Wambat Walkabout by Carol Diggory Shields and illustrated by Sophie Blackall is the perfect text when working on the concept of keeping your body in the group. 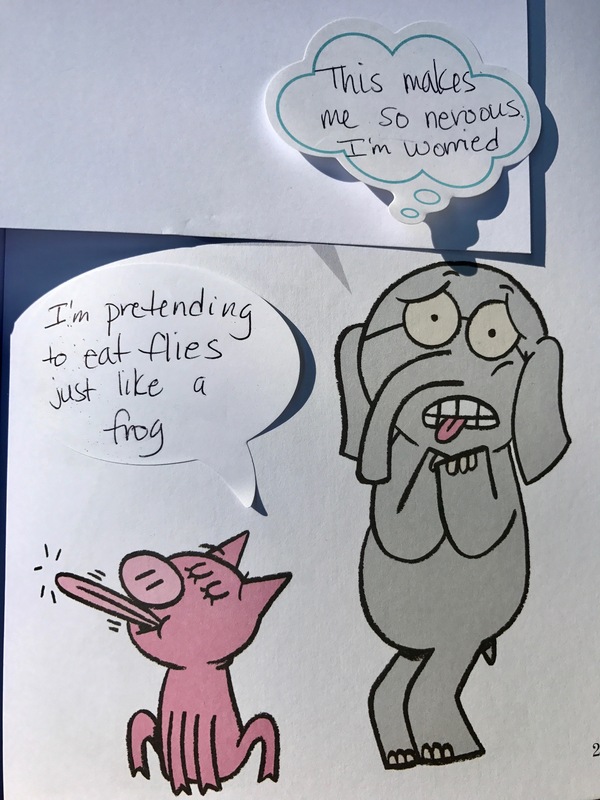 We, educators and therapists, must be careful that we do not assume that reading comprehension is not a concern if students have high cognitive skills, a robust vocabulary, can decode, and are able to answer general WH questions about what they read. 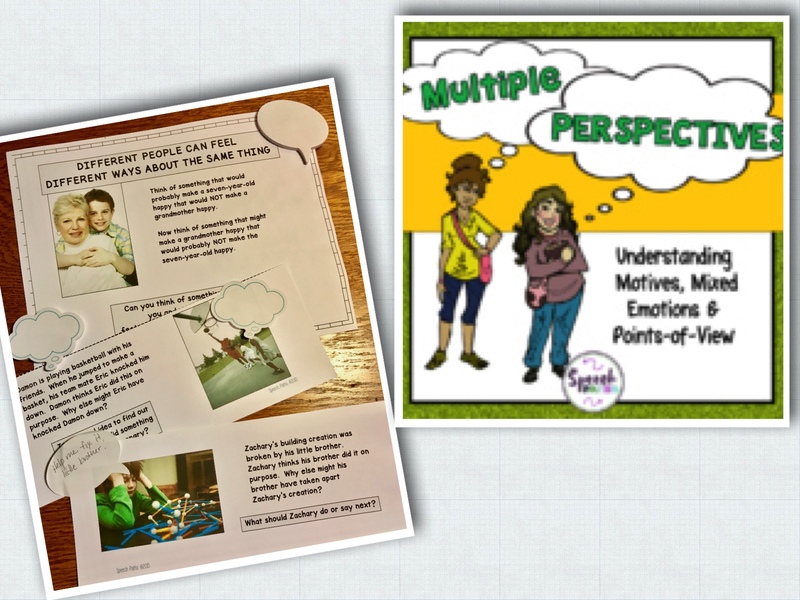 We need to help them dig deeper and help them to put themselves into a story and understand perspectives and how different people and situations affect each other and their environment. MOTIVE and INTENT are important concepts for tweens and teens to understand in order to navigate their social world. Young people with social challenges often need explicit teaching to better understand this concept. We think with our eyes to figure out others thoughts, intentions, emotions, plans, and motives. The name of the activity is Perspective Taking Photo Activity Cards What Are They Thinking? We can write on the picture scenarios and draw whatever we need to to make the invisible visible. 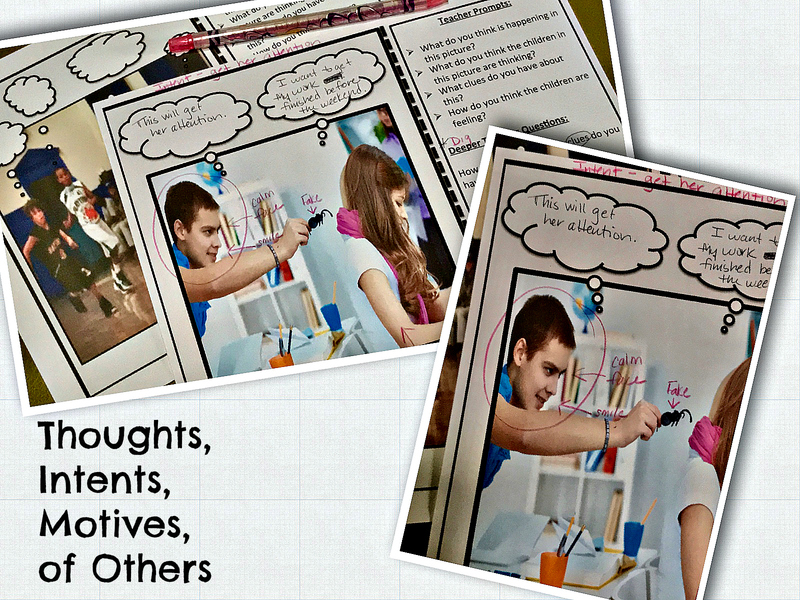 More perspective taking activities that we like to make interactive with sticky thought and speech bubbles. Thoughts can change. Different people have different thoughts and feelings about the same thing. The sticky bubbles work well for making the invisible visible. 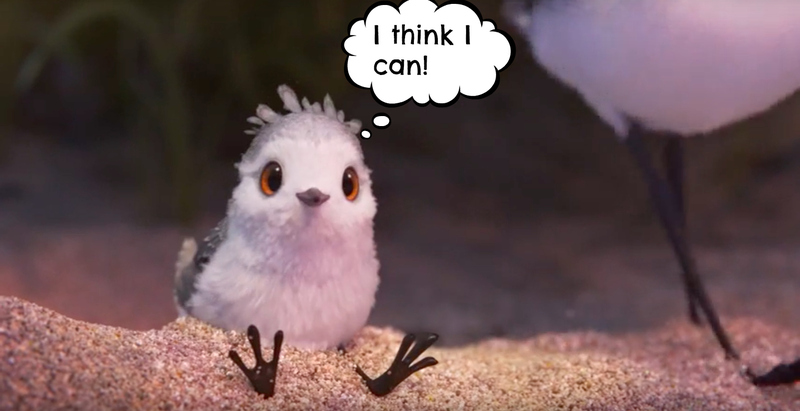 When watching delightful, wordless animated short films like Pixar’s Piper, thought bubbles give us a way of expressing our thoughts about the thoughts, intentions, and motives of others.